© Wilhelm Roseneder. 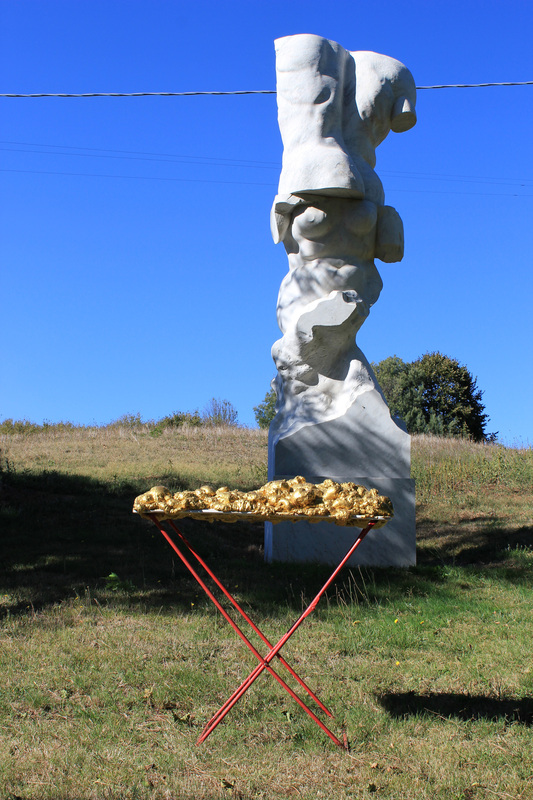 Goldene Erweiterung/Golden expansion, 2005-2009. Polyurethan, Acryllack auf Metall (Wäschetrockner)/Polyurethane, acrylic varnish on metal (airiel drier), 1.92×1.07×60 cm. Artist in Residence. Azienda Colonna. Cervinara, Paliano, Italy 2011. This entry was posted in Abstract, Azienda Colonna, Composition, Erweiterung/Expansion, Paliano and tagged Art, Artist in Residence, Contemporary art, Fine art, Installation, Italy, Landscape, Michelangelo Pistoletto, Painting, Sculpture. Bookmark the permalink.